Realignment of 38th Street included multiple environmental challenges. 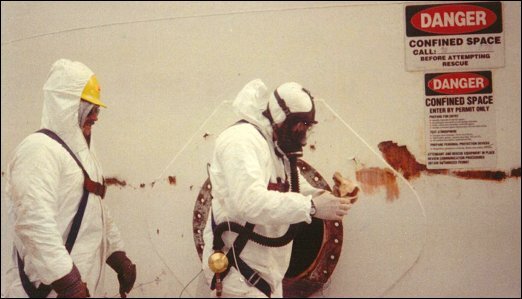 Decontamination and removal of several structures that contained asbestos-containing building materials. Removal of a gasoline station, including demolition of a building and decontamination and removal of four 10,000-gallon underground gasoline tanks. Relocating the Mill Creek stream bed to an area that had been used as a landfill and that contained organic and chemical waste. 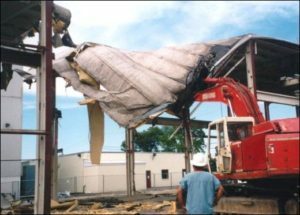 Neumeyer Environmental removed and disposed the asbestos-containing materials, demolished the structures and disposed the resulting uncontaminated construction debris. Neumeyer Environmental demolished the structure and disposed the construction debris. We decontaminated and removed the four 10,000-gallon underground tanks. 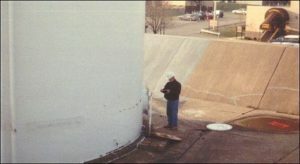 Inspection of the surrounding soil revealed that no contamination had occurred. 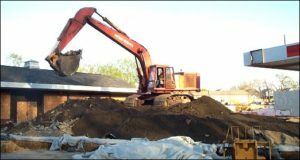 Neumeyer Environmental removed 20,000 cubic yards of soil contaminated with organic and chemical waste. The soils were profiled as residual rather than hazardous waste, substantially reduced the cost of its disposal. The Mill Creek stream bed was successfully relocated as required for realignment of 38th Street. 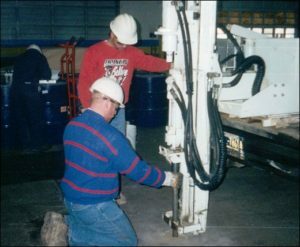 Neumeyer Environmental provided environmental management services for an obsolete jet fuel storage facility to be dismantled and removed prior to construction of a new facility. The site included two 280,000 gallon aboveground tanks, two 25,000 gallon underground tanks, one 5,000 gallon underground tank and one 250 gallon underground tank. 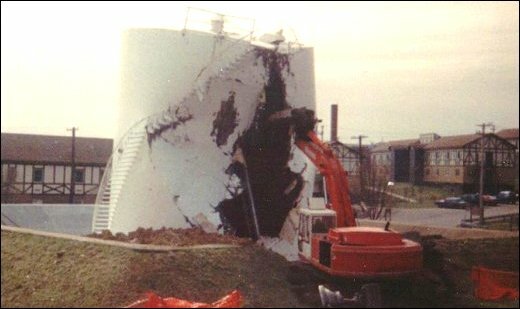 During the forty-plus years the facility operated, numerous leaks and spills contaminated the surrounding soil with petroleum hydrocarbons. 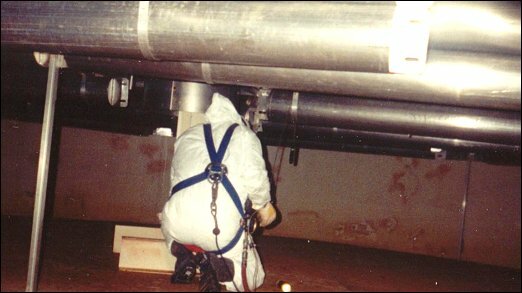 Prior to demolition, Neumeyer Environmental evacuated, purged, and decontaminated the pipe systems and tanks. Neumeyer Environmental also dismantled six support buildings. 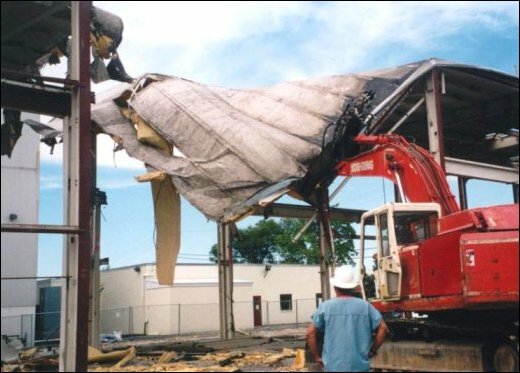 Since the facility was active, Neumeyer Environmental was limited to cold-cut techniques including pneumatic saws and a hydraulic shear mounted to a tracked excavator. After removing the tanks and structures, Neumeyer Environmental excavated the impacted subsoils. 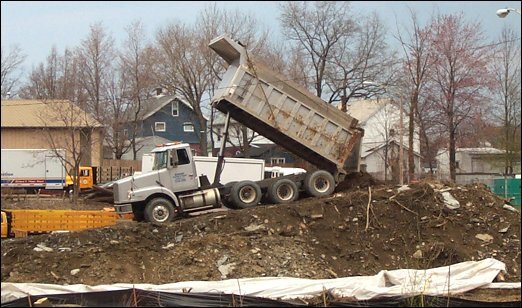 The Air Force’s original design called for soil to be hauled off site for disposal. 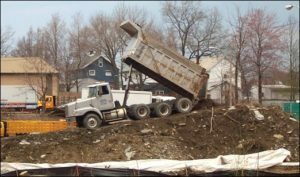 Neumeyer Environmental used land farming techniques to clean 50,000 tons of contaminated soil as a value-engineered approach that substantially reduced the cost and duration of the project and was environmentally superior to off-site disposal. Homeland security regulations required removal of five multi-story office buildings surrounding this nuclear power station in order to open up defensive lines of sight. The buildings were contaminated with asbestos-containing materials and electrical equipment that contained PCBs. 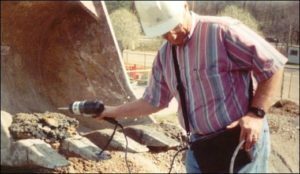 Neumeyer Environmental removed over 2,500 cubic yards of asbestos materials and approximately 250 cubic yards of PCB-containing electrical components. Following removal of these contaminants, Neumeyer Environmental demolished the structures and recycled 1,900 tons of steel and non-ferrous metals. One structure housed a full-scale model breeder reactor, 14′ in diameter and 50′ high, constructed during the 1950s. We constructed a shipping container and relocated the model to a storage facility. The reactor model will be displayed in a museum dedicated to the history of nuclear power. The renovation and upgrade of the nuclear power facility is an ongoing process due to the magnitude of the work. The project is being performed with a focus on recycling and salvage in support of environmental conservation. Neumeyer Environmental assisted in the decommissioning of a former light bulb manufacturing facility. The facility had been used during World War II for the development of the atom bomb. Radiological, mercury and asbestos contamination was present in nearly 1,000,000 square feet of the facility. •Decontamination of building components and equipment. •Sizing and packaging of contaminated waste. •Complete dismantling of two buildings. 90% of the structure was decontaminated on site allowing nearly 1,600 tons of debris to be handled as construction debris saving the client substantial disposal costs. The site has been redeveloped as a mixed-use shopping and residential complex. A Department of Defense facility managed by Westinghouse Corporation repaired reactor-circulating pumps that were used on nuclear-powered submarines and ships. After years of operation, radiological and asbestos contaminants were present throughout the structure and subsurface soil. This 30,000 square foot building required decontamination prior to its demolition. The project involved decontamination of the pump repair building, approximately 30,000 square feet. All interior surfaces were decontaminated on-site. After decontamination, the structure was demolished. Approximately 90% of the structural material was recycled after the decontamination process. 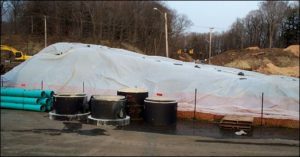 Contaminated soil beneath the structure was removed and packaged for off-site disposal. The site was backfilled and readied for site restoration. Recycling of the demolition debris provided significant savings to Westinghouse.